Margarita (Agenzia Fides) - The organization of humanitarian aid offers "an opportunity for service and closeness" to exercise "the love we all have inside, that is, Christian charity, offering proximity and companionship to our neighbors, friends or simple acquaintances", "it is a golden opportunity to organize a pastoral service worthy to the neediest brothers and especially towards the sick". This is what Mgr. 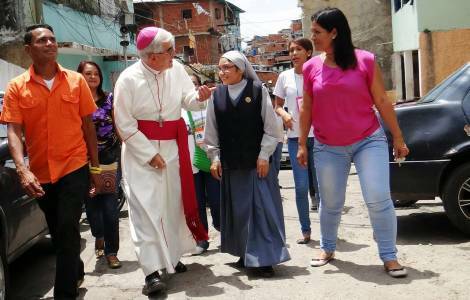 Fernando Castro Aguayo, Bishop of Margarita, writes in a contribution entitled "Golden Opportunity", sent to Agenzia Fides and published on 1 March in the Venezuelan newspaper "El Universal". In a dramatic moment for the Country, notes the text, the opportunity to concretely live Christian love can be born. "Every day - the Bishop writes - we meet people who have health problems due to the lack of the necessary medicines in the fight against the serious diseases they suffer".